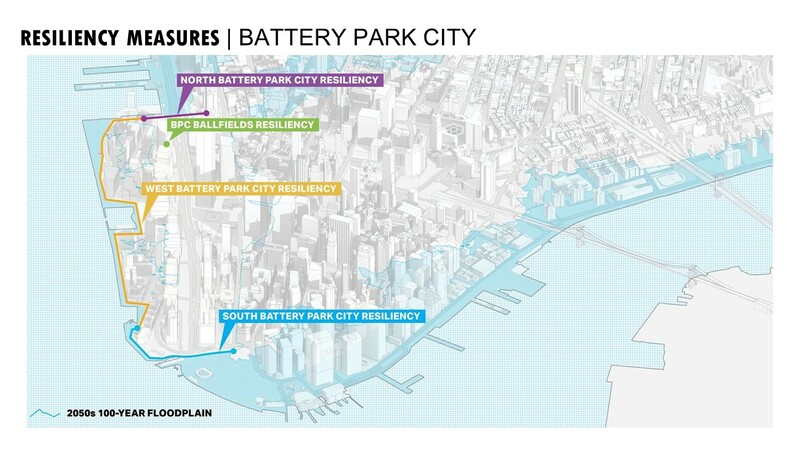 "Resiliency is one of the immediate priorities that’s facing Battery Park City. And we're trying to move this along as quickly as possible." In 2012 Hurricane Sandy made landfall, leading to more than 100 fatalities and $70 billion in damages across a dozen states. In New York City alone, the storm resulted in more than fifty lives lost, millions of traumatized residents and billions of dollars in property damage, along with extensive loss of income and productivity. While Battery Park City fared better than many other affected areas of New York City, it nevertheless sustained millions of dollars of damage to Pier A Harbor House on its southern end, as well as to the BPC Ball Fields and Asphalt Green Community Center in the north as storm surge waters poured in from West Street on BPC’s eastern boundary. 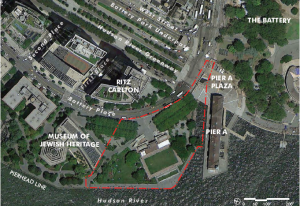 The South Battery Park City Resiliency Project contemplates creation of a continuous flood barrier from the Museum of Jewish Heritage, through Wagner Park, across Pier A Plaza, and along the northern border of Historic Battery Park. With construction scheduled to begin in 2019 and end in 2022, Battery Park City is committed to constructing a a perimeter storm and flood protection system on its southern boundary. This structure will decrease vulnerability from storm inundation and flooding. The BPC Ball Fields Resiliency Project envisions the design and construction of an independent, permanent flood barrier system along the eastern, northern, and southern boundaries of the BPC Ball Fields. The BPC Ball Fields are located at a geographical low point making them particularly susceptible to the flooding experiences during Hurricane Sandy. To avoid future damage and ensure that both the Ball Fields — used by some 50,000 local youth each year — remain available year-round, flood protection systems may be implemented. The anticipated completion of this project is late 2020. The North Battery Park City Resiliency Project will cover BPC’s North Esplanade and entail a deployable barrier crossing West Street / Route 9A. With construction scheduled to begin in 2020 and end in 2023, Battery Park City is committed to constructing a a perimeter storm and flood protection system on its northern boundary. This structure will decrease vulnerability from storm inundation and flooding. Finally, the Battery Park City Western Perimeter Resiliency Project will be achieved by employing garden/park walls to create a new line of flood protection along the water’s edge. A design RFP for this project will be released later this year. More about these completed projects can be found here.